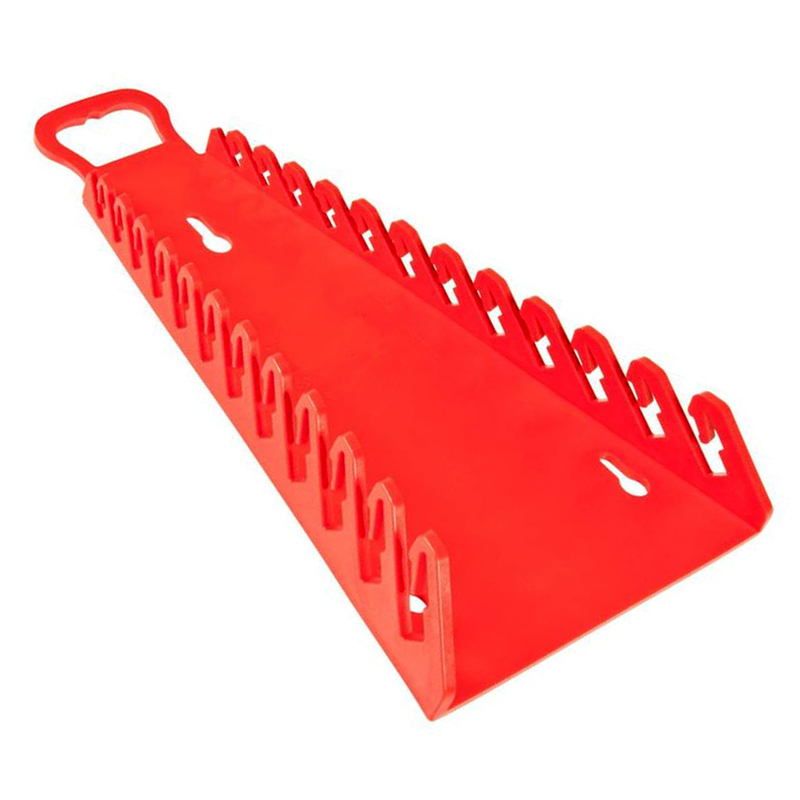 This red reverse gripper spanner rack can hold up to 12 spanners. Superior designs fits most spanners. Made from fuel and solvent resistant material. Can be hung on peg boards. Lifetime guarantee. Made in the USA. Flat rate delivery Australia Wide. Made of fuel and solvent resistant materal. Organise your tools with a wall mount for added versatility. 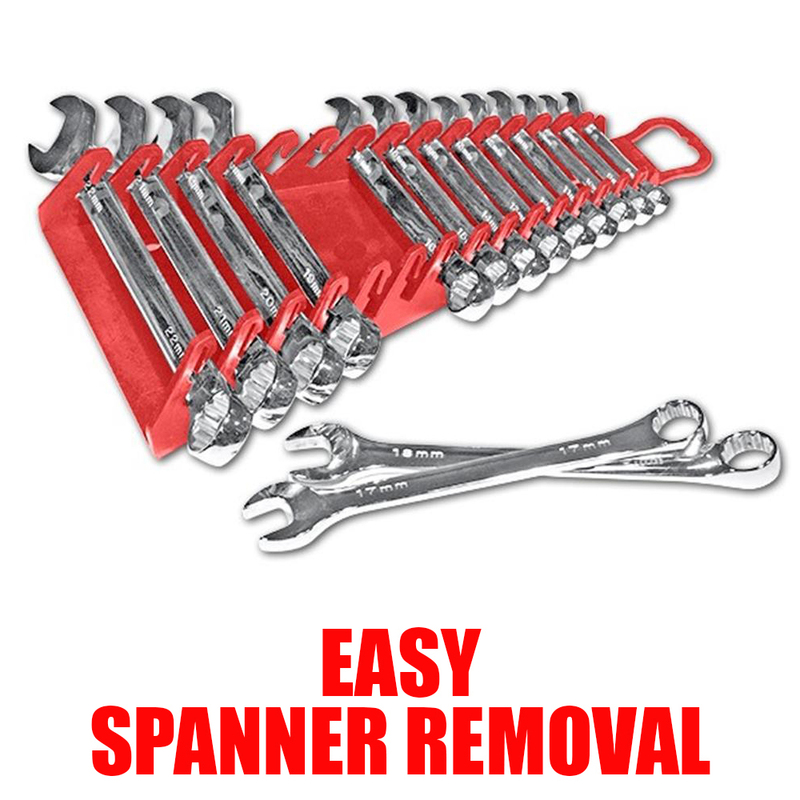 Holds 12 spanners from 1/4" to 7/8". Superior design fits most spanners. This spanner organiser is made from soft, flexible material. 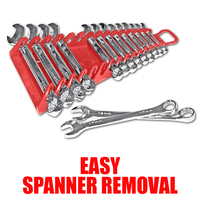 While holding spanners safe for transportation, they also allow for easy one handed engagement and removal of spanners. We believe this to be the best on the market and we invite you to come to our Sydney Showroom and have a look.